Journey to Araku Valley was an epic life time journey. Araku Valley is a Balm for tired souls.This journey was long time since we were planning a trip to one of the southern hill stations, a memorable trip for me and hence, I decided to pen this, so that the memories remain a fresh. I was in Hyderabad after a long travelling from Aligarh (near Delhi) at a a distance of 1750 Km.Now We planned a tour of Vizag (Visakhapatnam) and Araku Valley. 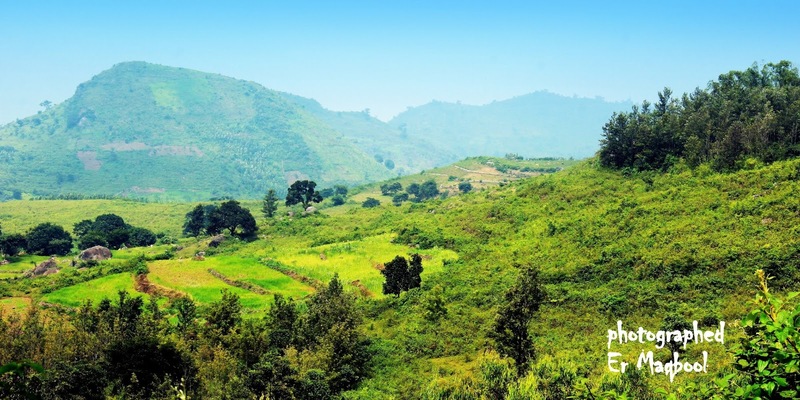 Araku is a famous hill station of AP. It is located at a distance of 120 KM from Visakhapatnam (Vizag). It is famous for its scenic beauty. 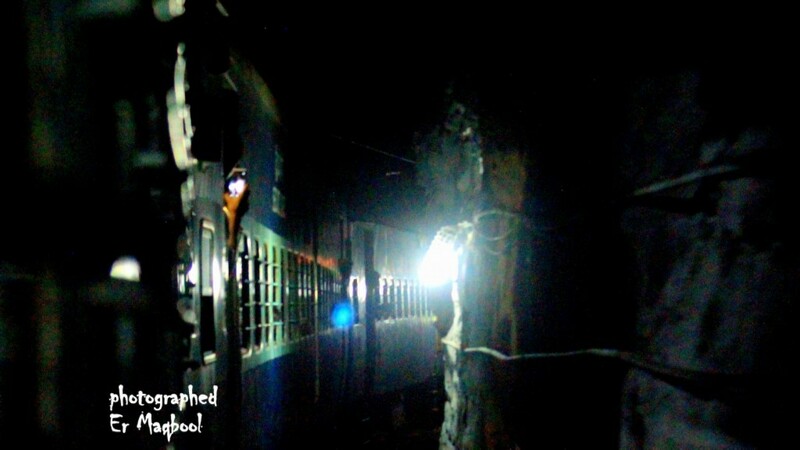 Located on the Eastern Ghats, water falls and streams flowing by the side of the train track and roads. 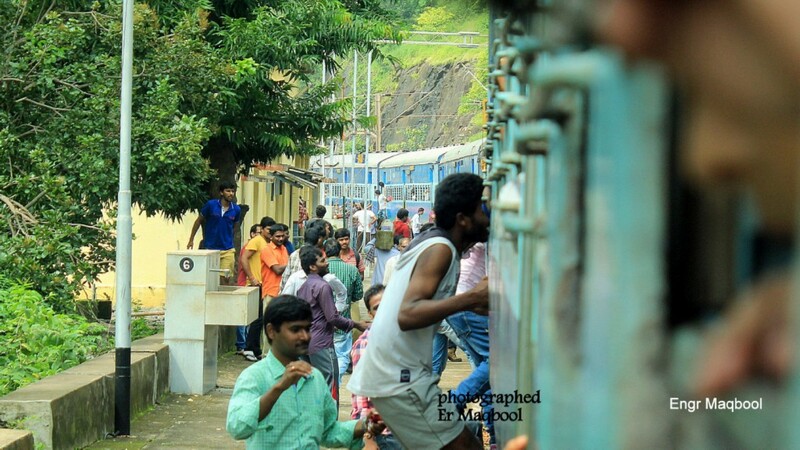 The journey to Araku Valley is the most enjoying as the rail passes through tunnels, hill sides and streams. Kirandel passenger leaves at 6.30 AM from Vizag railway station.we were in retiring room, so after a cup of hot coffee with special aroma and some snacks, we took our reserved seats.Fortunately my seat was window side seat. To add my excitement, train moved and left the platform and got speed. It was early morning, a light breeze was blowing, sky was clear Blu and red sun was playing hide and seek with a chain of hills the train was passing from one hill to other hill, in sharp curve. I was very excited in clicking and clicking. The journey on this route is an epic in itself. I stopped counting the tunnels coz there are plenty of them. One after one, a lot of tunnels, bridges and splendid views across. The rail passes through 58 tunnels and over 84 bridges. Marvel The Kottavalasa-Kirandul line on East Coast Railway is engineering marvel of Indian Engineers. 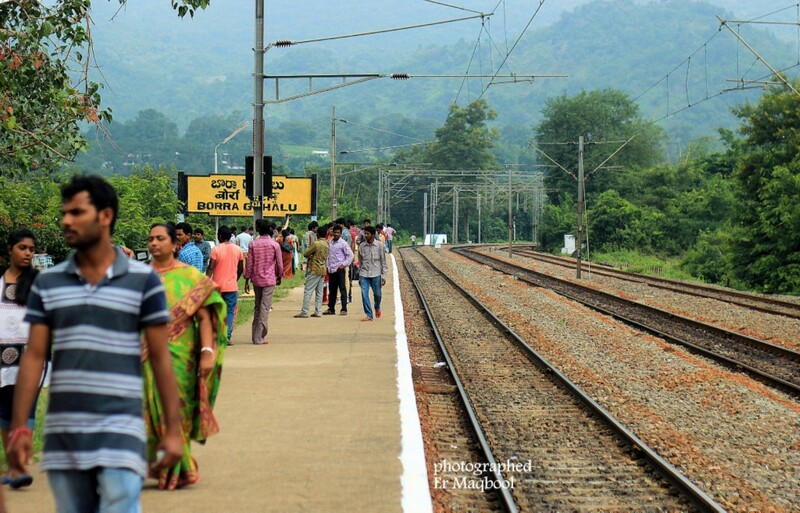 On the way to Araku is Shimliguda, a station perched at 997 m above sea level, which was the first highest broad-gauge railway station in the country till the construction of Qazigund in Jammu and Kashmir. On this route, there is only one train that leaves Visakhapatnam early in the morning and returns late at night. After 3.30 hrs magical journey ,we reached Bohra ghoul station.Out side station there were plenty of taxis waiting for tourist for a pleasant trip around valley.We also hired a Tata sumo for our ride of valley and in last drop us to Araku railway station. The million-year old Borra Cave is located at a short distance from railway station. It is deep in the Earth; the cave is at a height of 800-1300 m from mean sea level and was discovered by British geologist William King in 1807. One baba was sitting inside a tiny hole where the natural Shiv ling was. There was no light so couldn’t see and discuss much. The total length of the cave is about 200 meter. 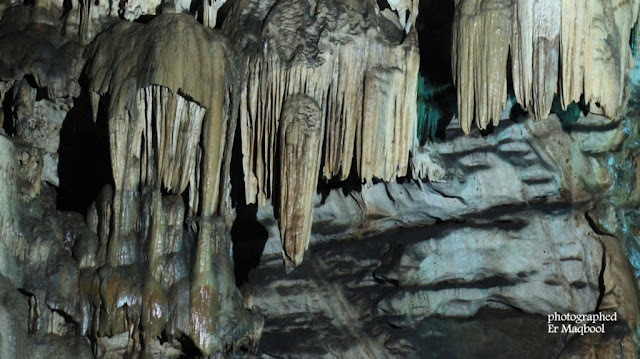 The beauties of the stalactites and stalagmites inside the caves, that have stood the test of millennia, have now been enhanced with a thematic lighting scheme. The Paleolithic cave is revered by the natives and is a tourist's delight. Natives believe that Rama, Sita and Lakshmana lived in the caves for a while during their 14-year- exile and that the forest was a part of the mythological Kishkinda forests. The way and stairs inside cave are very sharp deep and slippy, it needs special care to walk. Katiki Waterfalls was our next stop. The falls is named after Katiki, the place where it is located. The waterfall is about 50 ft high and lies around 4 km away from Borra Caves. Katiki Waterfalls originate from the Gosthani River and contains greenery and clear water in its vicinity. 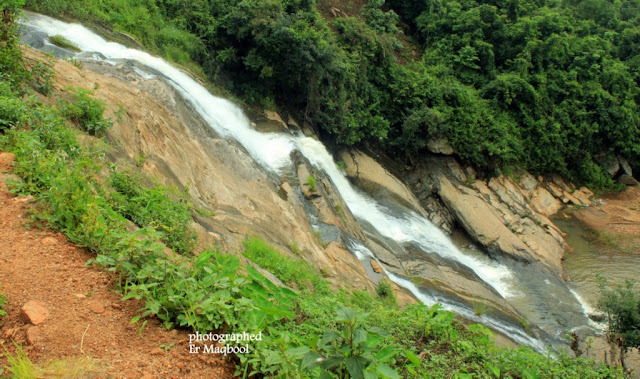 Considered as the most beautiful waterfalls of Araku Valley, the surroundings of this water fall is very popular for trekking activities. At the foot of the waterfall there is a pool formation. Landscapes and gardens are located surrounding this place.One can experience the beauty of water gushing through natural rocks. 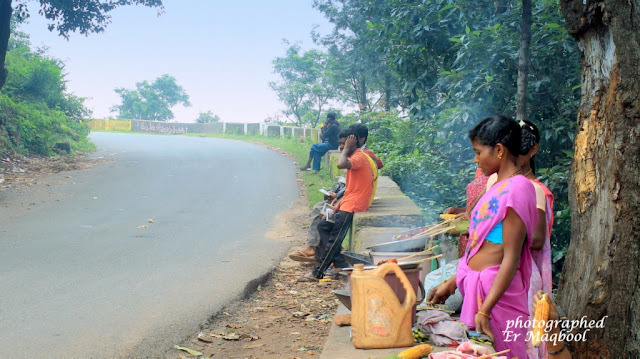 On way to every tourist point, local tribal women were selling bamboo chicken- Bamboo Chicken is a traditional tribal cuisine of Araku Valley Tribal near Vizag, locally known as “Bongulo Chicken”. Bamboo Chicken is cooked inside a piece of green bamboo stalk without oil, making it healthy but delicious. 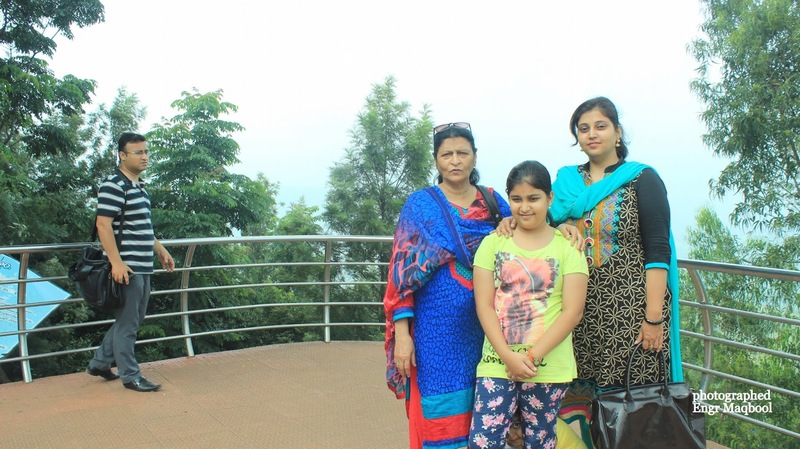 Galikonda view point (3800 ft above sea level) the view of valley is excellent. On the way from Anantagiri after 15 KM there is a small market place known as Sankarmatha. 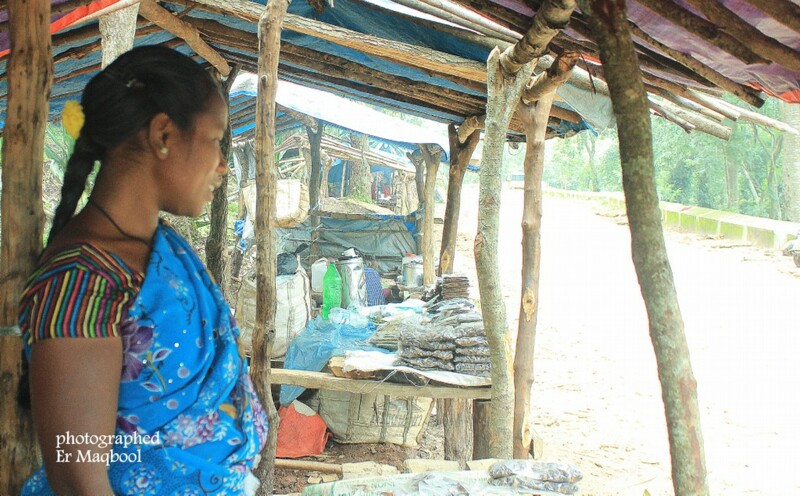 This serves as a market place for local tribal and many traditional vegetables and forest products are available in this rural market It is a popular point among film and T.V serials shootings. Araku Tribal Museum is situated on Araku Road in the heart of Araku Valley. Located in the vicinity of Padmapuram Botanical Gardens, the museum offers a glance at the lifestyle and cultures of the tribal communities indigenous to the Eastern Ghats. Araku Tribal Museum is built with mud and clay and has a rugged theme to it. Araku is popular for its famous coffee plantations. India’s first tribal growers' organic coffee brand was launched in the Araku Valley in 2007.Organic Coffee cultivated at Araku and Anantagiri in Visakhapatnam district has earned a name for itself in the international market. The organic coffee cultivated in non-traditional areas is being marketed as “Araku Emerald.On our way we found in plenty tribal women selling hot coffee on road,at different tourist points.The coffee was rich with unique flavor and aroma. After a long drive and walking to enjoy the natural beauties of the Araku valley, we were tired and hungry. So asked taxi driver to drive fast for main Araku town. There we have our lunch in a hotel.After a visit to local market, we reached Araku Railway station. Our return journey ticket to Vizag was reserved in a sleeper coach .Station was in a small building .a clean and peaceful place,no crowed and loudness .Some lazy local tribal folk were lying on floor ,tribal ladies were selling guavas and some wild fruits. The train was late by one hour. There were some group of tourists from Colcatta and Andhra Pradesh. 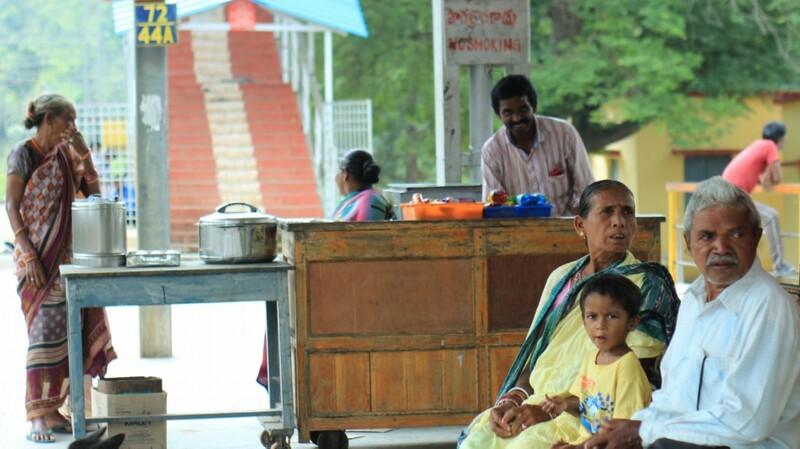 I utilized this time in clicking some good shots of Araku locals at station .Refreshed us with coffee, selling on platform .The train arrived, we took our births.We were tired ,so laid down on our births.After 4 hours journey train reached Vizag railway station. The beauty of Araku Valley the gushing rivulets, surging waterfalls, plantations and swathes of green fields sprinkled with small villages, was etched in my heart for ever. My camera is fully loaded with shots of sweet memories. Though civilization has made deep inroads, still steeped in the culture of its ancient tribes. In the interior parts of Araku valley, the PTG (primitive the valley is tribal groups) have still not changed their lifestyle, and are hospitable to outsiders. 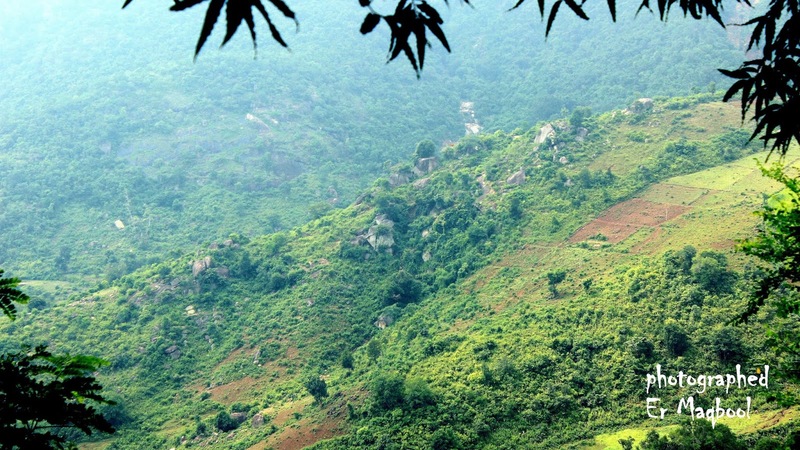 This ends ,Travelogue of Araku Valley: An Epic life Time journey A Balm For Tired souls.